θ =angle of shearing resistance or the angle of internal friction. Can be read off from the graph. In the case of undrained saturated clays the angle of shearing resistance is zero. 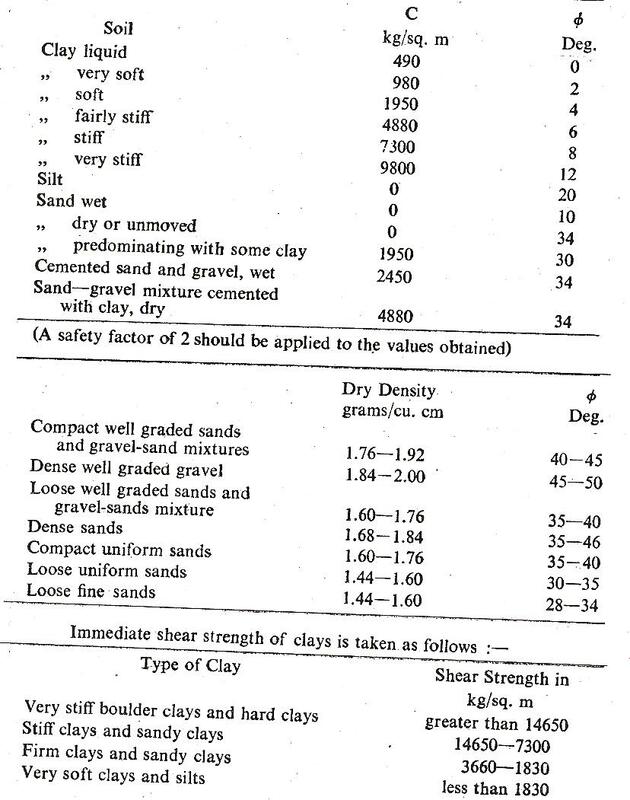 The true angle of internal friction of clay is seldom zero and may be as much as 26 deg. Direct shear tests are of two kinds (1) Immediate tests, in which the horizontal load is applied as Soon as the normal vertical load begins to act, and the specimen is enclosed between metal plates. 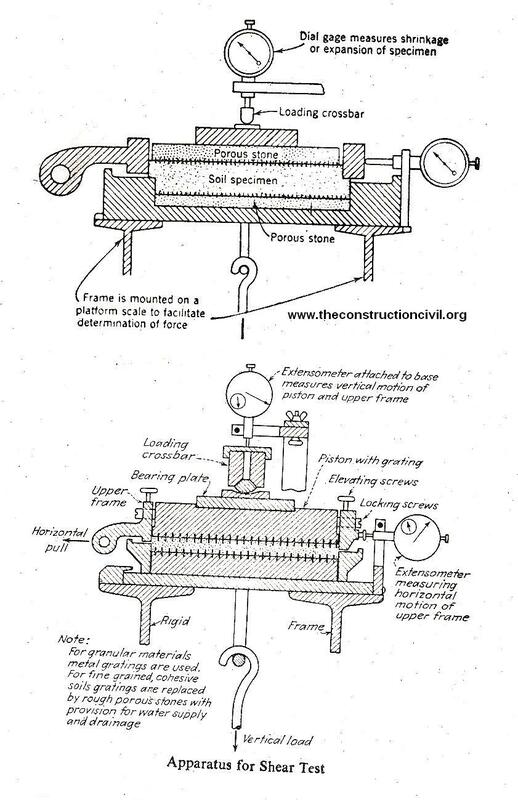 (ii) Slow tests, in which the soil is allowed to consolidate completely under each increment of vertical load. The specimens are enclosed between porous plates which allow the soil to drain. The inter-relationship between cohesion, internal friction and stability are determined from the above equation. The unit shear resistance is composed of two parts, that furnished by the resistance of soil grains to sliding over each other and that furnished by the cohesion existing between the soil particles. By experiments the cohesion C in kg/sq. m and θ have been ascertained as given in the table below, from which the vertical load n in kg/ sq. m can be computed. The soils subject to the higher normal stresses will ha’ lower moisture Contents and higher bulk densities than those subjected to lower normal stresses and will thus have increase in shearing resistance and cohesion with increasing normal stress.